Army Chief of Staff Ray Odierno delivered a stark message on Monday, warning that the U.S. Army is shrinking to a dangerously small size even as the threats it faces are multiplying. “We’ve seen Russian aggression in Eastern Europe, we’ve seen ISIS, we’ve seen some increased instability in other places,” the general told a military conference. “So I now have a concern whether even going below 490,000 [troops] is the right thing to do.” Defense Secretary Chuck Hagel announced in February that the Army would shrink to about 450,000 soldiers by 2017. General Odierno’s modest suggestion to the political class: Maybe now is a good time to rethink the cuts. The principal threats being multiplied here are hype and hysteria. Current fears about the Ebola virus notwithstanding, the last century of increasing carbon-dioxide emissions has also been the era of the conquest of infectious disease, from polio to HIV. No one has made a credible link between Ebola and climate change, though no doubt somebody will soon try. As for terrorism, the Pentagon’s job is to defeat jihadist forces that are advancing under the flag of Islamist ideology. 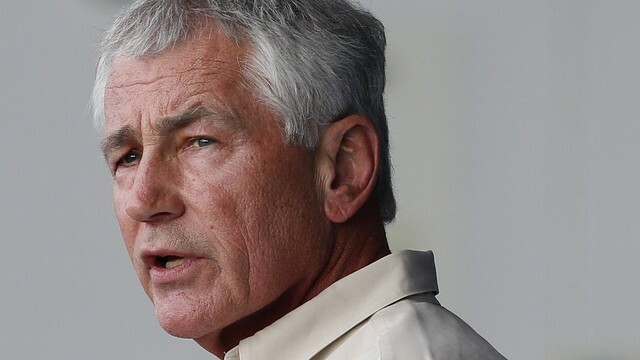 Maj. Nidal Malik Hasan did not murder his fellow soldiers at Fort Hood because the heat got to him, and Americans who might die at the hands of the Islamic State won’t care that Mr. Hagel is mobilizing against melting glaciers. The report doesn’t spell out particular steps beyond the usual surveys and studies, though these inevitably take their toll in expensive paperwork and bureaucratic attention. But it’s of a piece with efforts by the military to go green that are a costly drain on scarce Pentagon resources. The Navy has a plan to generate 50% of its energy from alternative sources by 2020, including buying $3.5 billion in biofuels, and it has also awarded contracts to build so-called biorefineries. It’s partly through ideologically motivated boondoggles like these that the Navy finds itself with a mere 283 ships, down from 337 in 1999. The military has often been used as a vehicle for social change, and sometimes—as in Harry Truman ’s 1948 desegregation order—that can be a force for good. For now, what the U.S. and the world most need is credible and sufficient American military power to deter and defeat our enemies. Issuing politically correct bows against a speculative threat from climate change when ISIS is at the gates of Baghdad will only convince those enemies that we lack the will to do so. As explained by Josef Loschmidt in the 19th century, the temperature gradient -g/Cp evolves by diffusion. When a long sealed insulated cylinder with 80% pure nitrogen and 20% pure oxygen is rotated about its centre the top gets cooler and the bottom gets hotter as energy is redistributed (not lost or gained) and entropy increases to the maximum accessible level. That state is thermodynamic equilibrium. This is all well confirmed empirically. Until people understand this, they will never understand how the required energy gets down into planetary surfaces, crusts, mantles and cores. Solar energy supports all such temperatures by downward convection, which includes diffusion and advection. That is what people don't yet understand, but it's fact and they won't learn it in climatology classes. Footnote: Robert Brown on WUWT did not successfully refute the gravito-thermal effect because he clearly does not understand that a new state of thermodynamic equilibrium evolves when an external connection is made between the top and bottom of the cylinder. There is no perpetual cyclic motion of energy. Jeff Conlon on The Air Vent asked: "So you are stating that your idea is not new and are of the belief that Loshmidt had the right answer correct?" The fact that the temperature gradient forms autonomously at the molecular level (without any specific need for upward convection) was first explained in the 19th century, and has never been correctly rebuked. But this "gravito-thermal effect" has been overlooked by James Hansen et al. Hence 255K is not the right "starting point" and there is not "33 degrees of warming" but more like 10 to 12 degrees of cooling by radiating molecules, mostly water vapour of course, because the radiating properties of these molecules have a temperature levelling effect working against the gravitationally-induced temperature gradient that is not due to any lapsing process..
Thermodynamic equilibrium is what it says - an equilibrium state just as much as is mechanical equilibrium which keeps the surface of a lake more-or-less following the curvature of the Earth. Gravity spreads new rain water over the lake, raising the level all around the lake. Likewise, new thermal energy absorbed in a planet's upper troposphere or elsewhere (such as in and above clouds) spreads out in all accessible directions by convection, where I use the term to mean both diffusion and advection in accord with normal usage in physics. And that's how the required energy gets down to the base of the Uranus troposphere to maintain temperatures hotter than Earth's surface. Likewise on Venus and likewise on Earth because solar radiation directly to the surface is nowhere near sufficient and we would freeze on cloudy days if this downward convection were not a reality. This comment is being posted on about six other blogs as I don't like wasting my time on just one blog, unless a blog owner runs an article on the content of my book and agrees not to delete any of my comments replying to comments on that thread. I may do likewise with any future such questions and answers in the interests of disseminating correct physics and gradually wearing down the greatest error ever made since the flat Earth garbage.